Combat Engin is modifyed version of DIYCE. - Main purpose of this addon is to easily maintain buffs on yourself and your party, as well as debuffs on enemy mobs without having to constantly check for cooldowns and timers on skills. Also helps select the best skills to put out the most damage during fights. To be able to get the most out of your characters DPS potential, you will need to know how to play your class combo to be able to build the DIYCE Skill List correctly. - Added all class combos, almost all have set skill rotation's. 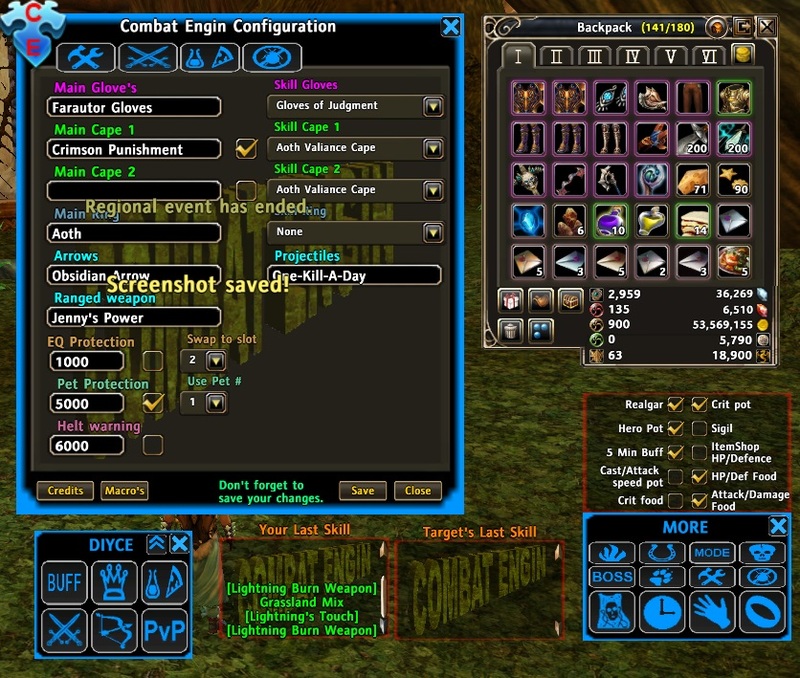 - In game interface for manage food/potion buff's. - Added new swap class frame. - 15s coundown for boss fight's. - Support for swaping ans using equipment with skils ( ring, cape , gloves ). Hi there! I really liked your job in this addon! Id like to ask you a function to check target buffs (not only debuffs), this way i can counter when the target uses Serenstum or Earth Core Barrier TY bro!